Coastal Grasslands, Victoria. Robert Cannings. Most people do not connect grasslands with British Columbia, but these environments are remarkable for their wide distribution, diversity and complexity. There are four main components scattered across the province: small coastal grasslands along the Georgia Strait; the more familiar and widespread steppes of the valleys and plateaus between the mountain ranges of the province, mostly in the south; the grasslands of the Great Plains in the Peace River country east of the Rocky Mountains; and the remnant grasslands scattered across the north. Intermontane Grasslands, McIntyre Bluff, Oliver. Stephen Cannings. In the lee of the mountains of Vancouver Island and the Olympic Peninsula lie the grasslands of the Gulf Islands and southeastern Vancouver Island. These savannas of grass and wildflowers growing amid Garry Oaks are highly endangered by urban sprawl, invasion of alien, weedy plants and the suppression of fires. Intermontane Grasslands, Rampart Prairie, East Kootenays. Richard Cannings. 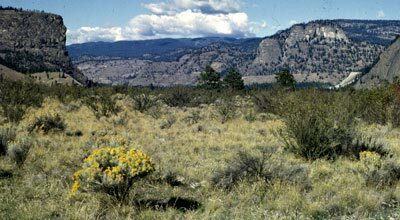 The Intermontane bunchgrass habitats in the hot, dry bottoms of the Okanagan and Thompson valleys ("Lower Grasslands") support shrubs such as Big Sagebrush, Rabbit-brush and Antelope-brush. 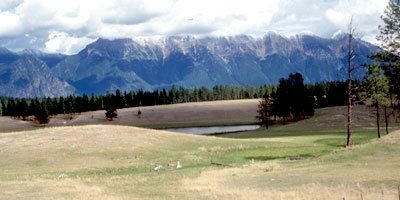 The grasslands of the East Kootenays, in the rainshadow of the Purcell Mountains, are similar to other southern valley grasslands, but share some plants and animals with the Great Plains eastwards across the Rocky Mountains.